Great news to all our Value Card Members. 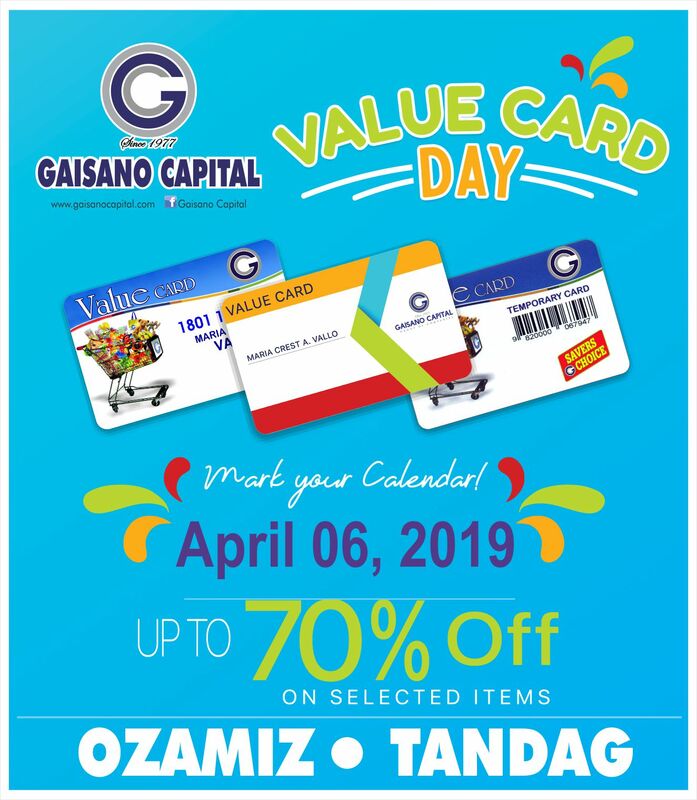 Huge discounts of up to 70% Off on wide selection of items on April 6, Saturday at all Gaisano Capital Ozamiz and Gaisano Capital Tandag. See you there!